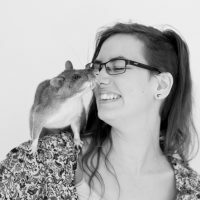 Haylee joined APOPO – landmine and tuberculosis detection rats in April 2015 after receiving her Master’s degree in behavioral psychology, focusing on animal detection learning and technology. She also holds a certificate in veterinary nursing, and previous research includes behavioral ethology, welfare, and human-animal interactions. She is currently completing her Ph.D. through Waikato University, New Zealand, in collaboration with APOPO. 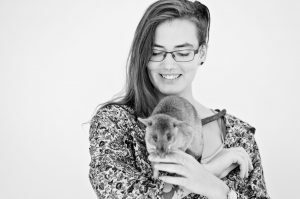 Her research focuses on investigating variables that affect rat detection accuracy and learning.